Few sculptures in the United States are more famous then Mt. Rushmore. 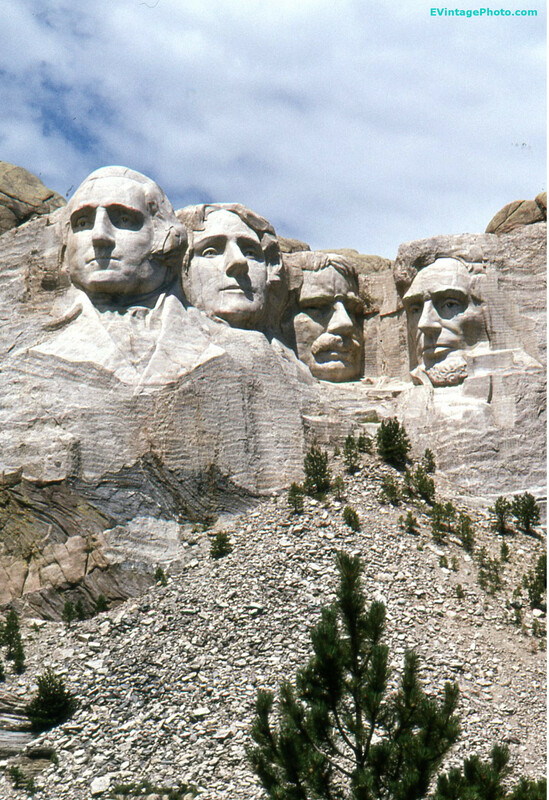 Picture after picture shows the four former American Presidents who’s faces are carved into Mt. Rushmore. Parodies show other faces carved into the rock alongside, or replacing one of the current faces. It continues to be one of South Dakota’s biggest tourist attractions and towns around it have worked hard to take advantage of that fact by providing food, lodging, and further attractions for those visiting the area. The sculpture by Gutzom Borglum took 14 years to carve into the rock face. From left to right, he carved George Washington, Thomas Jefferson, Theodore Roosevelt and Abraham Lincoln. The site was chosen for it’s exposure to the sun. Construction began in 1927 with the last face completed in 1939. Originally each figure was supposed to be shown to waist level but funding ran out after Borglum’s death in 1941. Jefferson was supposed to be carved to the left of Washington, but as construction started it was found that the rock was to soft in that location. I last visited this site in 1997 during reconstruction of the visitor’s lodge. The only thing I remember of that visit, other then the huge heads, was the huge scoops of ice cream being sold at the visitors center. One could easily feed two people! Have you ever visited Mt. Rushmore? What tourist attractions did you do while in the area?